Don't forget to register as soon as possible. Go to www.washarpies.com/p/membership.html to do that. Remember, you need to have your association membership current to take part in the States, but you all know that! (and it's cheap). 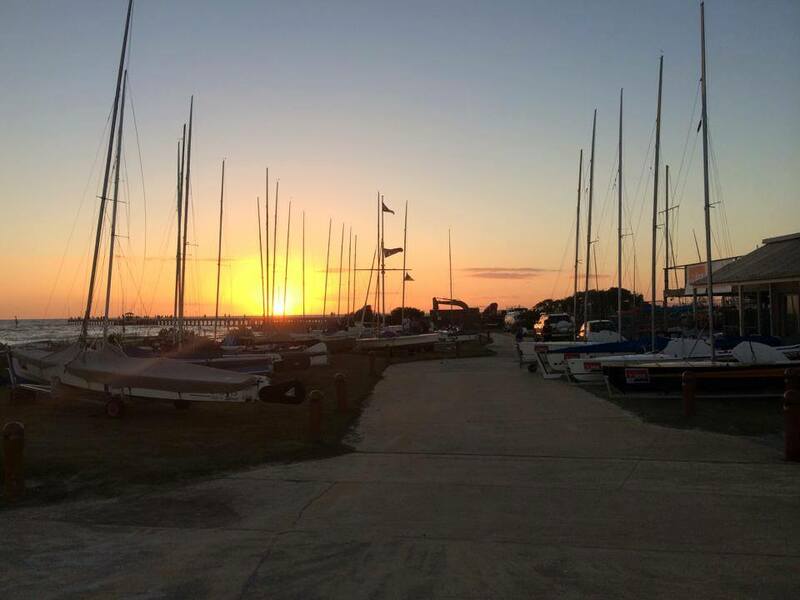 If you need a sail measured before the State Championships begin on Saturday October 28th, your one opportunity will be the night before, at Mounts Bay Sailing Club - 5.30pm at MBSC on Friday October 27th. The bar will be open at Mounts as per usual on a Friday night, so get all your jobs done at once. Sport FM 91.3 are going to promo the State Championships from this week on, with a special program by Tony Pugh dedicated to sharpies on Friday of NEXT week at 1.30pm. Make sure you tune in, but if you can't we'll arrange a download of the show afterwards. Lastly, we're planning to make it a special grandstand experience at EFYC on Saturday 28th, so all our sharpie friends, family members and veterans can watch the skills and spills, right from the comfort of their chair, drink in hand! Racing starts at 2pm and will be right in front of the club, but bring binoculars if you feel like it. If every boat gets at least two supporters along, we'll have a grand-final sized crowd. So....get to it and get your cheer squad there.